Set up in the year1984, this park is located in the district of Palghat, spread over an area of 89.52 sq.km along the Kunthi river valley. Located 40 km from Mannarkkad, Silent valley is extremely fragile, a unique preserve of tropical evergreen rain forests, totally undisturbed, lying above the equator and the forest strip which causes the summer rains during June- July in Kerala. The local name for the park is Sairandhrivanam (the forest in the valley) which is also the last representative of tropical evergreen forests in India. The park which is remote has difficult terrain and is surrounded with Attappadi Reserve Forests in the east, and vested forests of the Palghat and Nilambur divisions in the west and south. In the North, the park is an extension of the Nilgiri Forests. The park which has never had human habitation is in the core area of the Nilgiri Biosphere Reserve. The fauna here includes around 100 species of butterflies, 400 species of moths, Ceylon Frogmouth, Great Indian Hornbill, the Nilgiri Laughing Thrush, the giant Malabar squirrel, Nilgiri langur, the lion-tailed Macaque, elephant, tiger, leopard, wild bear, nilgai, sambar, pit viper etc. 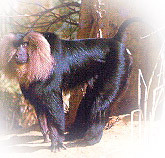 The parks best known primates, the Nilgiri Langur and Lion- tailed macaque are both listed in IUCN's Red List of Threatened Animals. A valuable reserve of rare plants and herbs including around 966 flowering and over 100 orchids plants are found along with the wide range of animals and birds. This park consist of 10 sq.kms of evergreen forests, 15 sq.kms of semi evergreen forests and 40 sq.kms of leaf shedding forests with a large variety of trees. There are very old trees in the park including a huge hollow tree which can hide at least 12 people in it. Trekking: Visitors are allowed only up to Sairandhiri, the dam site 23km from Mukkali. There after trekkers need special permission from the Conservator of Forests; Northern Region; Palakkad, to venture on to one of the several trekking routes. The terrain is rough and one has to be vary of the leeches. The 7km trek from Sairandhiri to Poochappara 1376m above sea level takes around two hours.